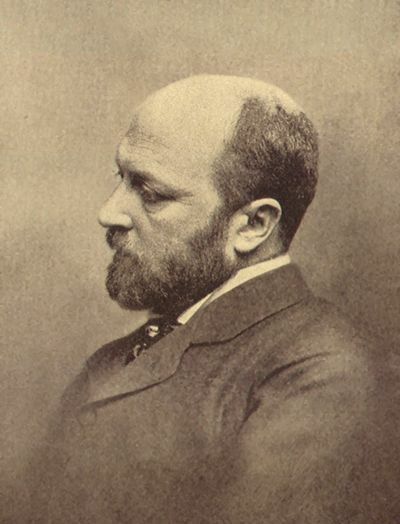 Henry James (1843 - 1916) was a key figure of 19th century realism, born in New York City in 1843, but spent most of his life in Europe. He became a British subject in 1915, a year before his death. James wrote a series of novels about Americans encountering Europeans and their experiences in Europe. He favored the style of a-tale-within-a-tale, exploring issues of perception and consciousness, from the characters' points of view. Daisy Miller (1879) is considered one of his masterpieces, as well as The Portrait of a Lady (1881), and The Bostonians (1886), published during the emergent feminist movement. James' The Turn of the Screw (1898), a ghost story about a governess obsessed with childhood corruption, is his best known novella. It is featured in our Gothic, Ghost, Horror and Weird Library. James suffered a stroke in December 1915 and died in London in 1916, leaving behind an incredibly prolific and broad range of work, influencing countless authors who followed his lead. We feature his works in our Realism Study Guide.